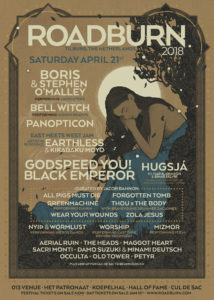 And so we see Roadburn 2018 once again open its gaping maw of righteousness to hurl forth another barrage of acts to its long-since-completely-overwhelming lineup. You know how many distinct acts are discussed in the press release below? 32 by my count. And granted, I’ve never been much for counting, and a couple of them were previously announced and are playing additional sets, etc., but do you see my point? 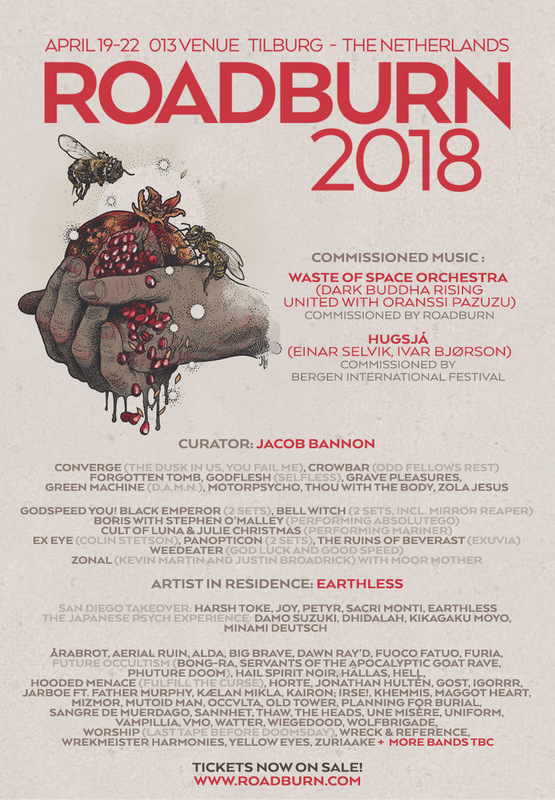 My point is this: Roadburn 2018 makes an announcement for its smallest venue — the get-there-super-early-no-earlier-than-that Cul de Sac — and tightens up a few other odds and ends, and all of a sudden you’ve basically got an entire other festival being announced. 30 bands? That’s a fest. Roadburn throws it all out there like, “Oh it’s nothing. We do this every year.” And they do. So who’s my absolute gotta-see on this list? If you read the names below and have been hanging around here for a bit, you can probably already guess it’s Comet Control. I was hoping they’d be added since they’re touring with Earthless and still supporting 2016’s much-loved Center of the Maze (review here). I’ll be there for them for sure — scheduling conflicts be damned. If it means there’s a chance I might get to watch that band play “Artificial Light,” I don’t care if I have to set up a tent in the middle of the Cul de Sac floor. I’m not missing it. 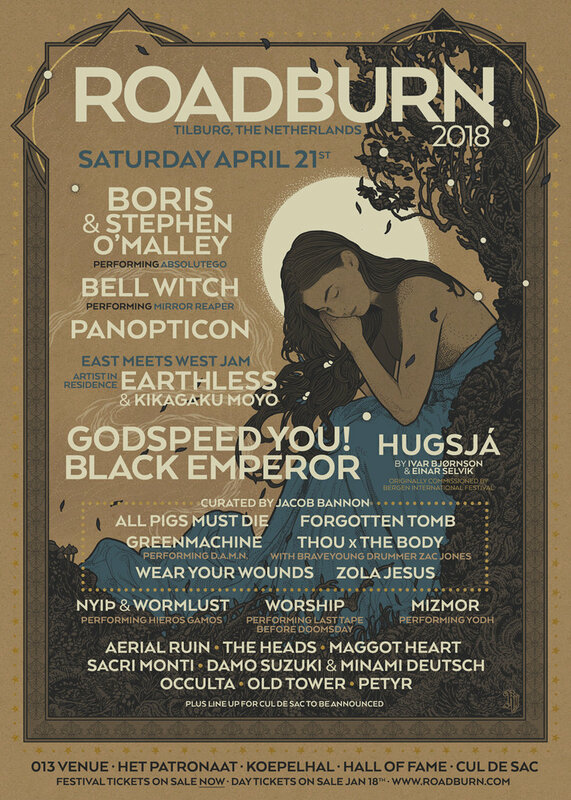 Roadburn 2018: Cul de Sac bands, pre-show party & more! 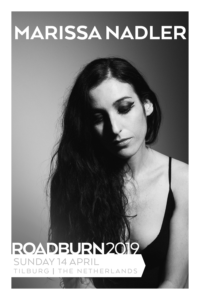 “The sales of day tickets alongside weekend passes have surpassed our expectations and we’re on course for another sell out year at Roadburn. We couldn’t be happier as we dive headlong into putting the finishing touches to the 2018 edition. The Cul de Sac may be Roadburn’s smallest venue, but each year a hell of a lot of talent is packed into it’s confines. 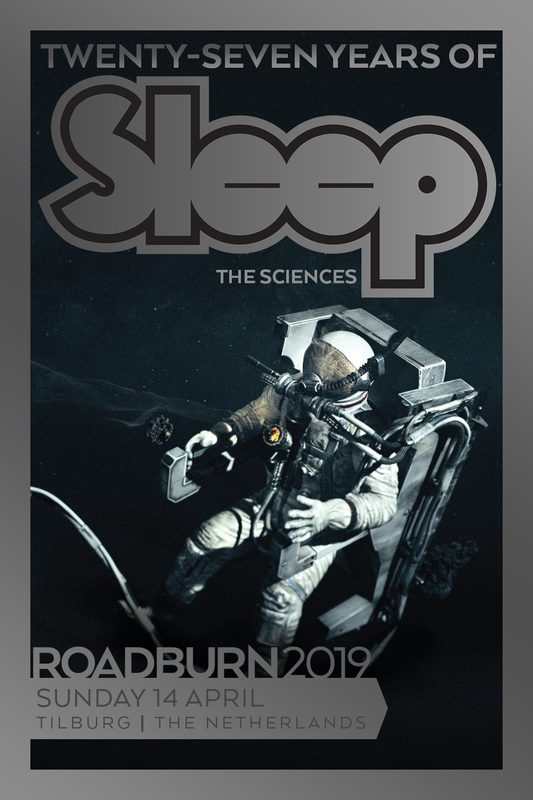 2018 is no different with a stellar line up of bands both big and small who will be squeezing into the diminutive space and packing an enormous punch. 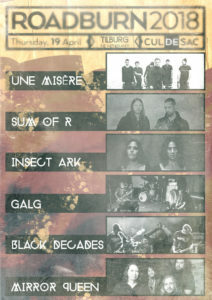 THURSDAY will see Une Misère reprise their performance with a second set. They’ll be joined by instrumental duo Insect Ark, hard rockin’ New Yorkers Mirror Queen, Dutch force of nature – Black Decades, the droning riffs of Galg, plus your personal soundtrack to the end of times courtesy of Sum of R.
FRIDAY has Earthless’ tour mates, Comet Control preparing for lift off, extreme metallers Départe from Down Under, Danish export Hexis, Dutch death metal darlings, Ulsect and a second set from Worship that promises some special surprises. 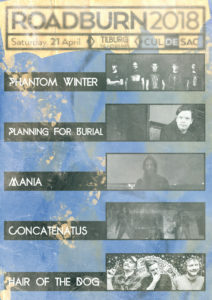 SATURDAY will see Planning for Burial perform again, mining his back catalogue for gems. 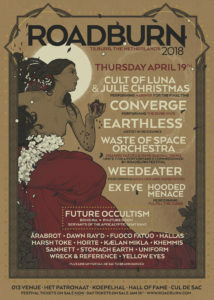 Hair of the Dog will return to Roadburn, and be joined by fellow 2016 alumni Concatenatus, plus Mania’s mix of doom and black metal, and Phantom Winter’s suffocating sludge. SUNDAY sees tour mates Bison and LLNN roll into Tilburg in an uncompromising fashion. 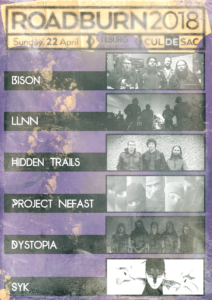 They will be joined by the progressive sounds of Hidden Trails, a dual pronged Dutch attack in the form of Dystopia and Nefast, and visceral Italians, Syk. 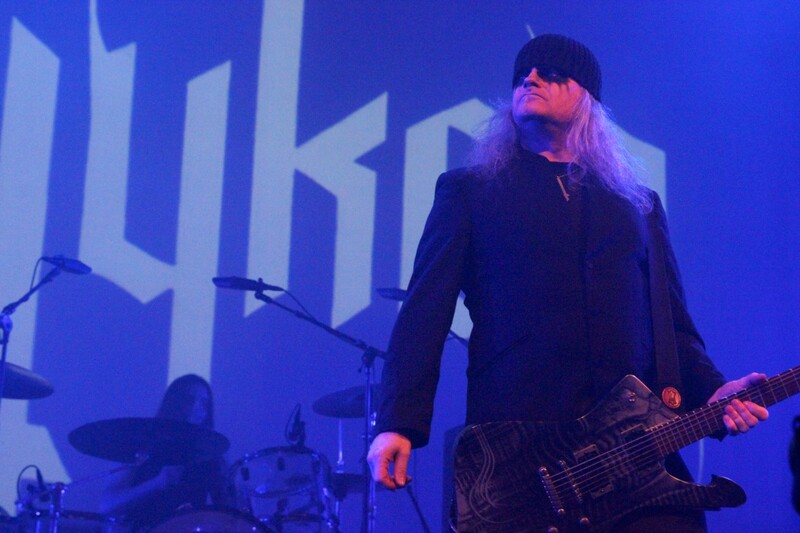 Good news for fans of psychedelic riffs! There are new additions to the San Diego Take Over, and they’re sure to bend your mind further into previously unknown directions. 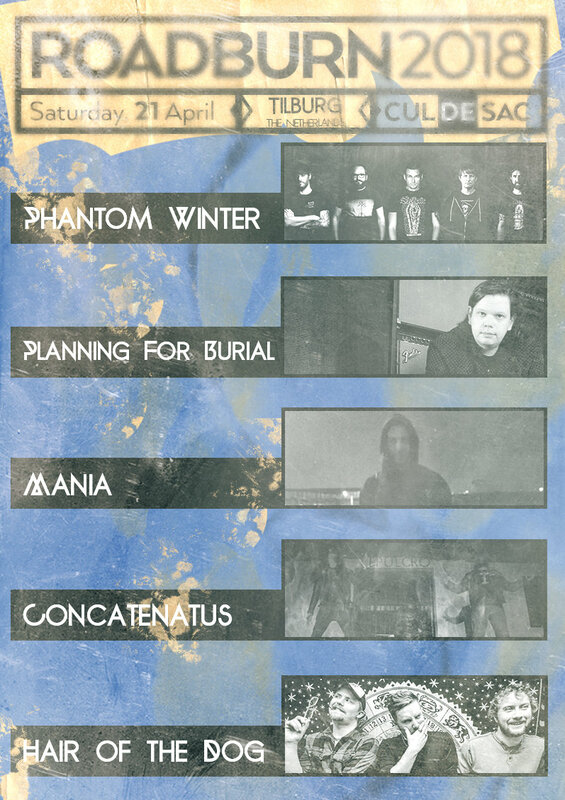 Unraveling the threads that run between the family of bands that make up the SDTO would require a headspace much clearer than anyone involved is quite capable of, but suffice to say that the pedigree running through the bands is of the standard you have come to expect. 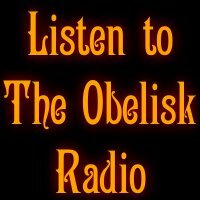 RED OCTOPUS mix influences such as early Sabbath, Hawkwind and Can into a psychedelic wonderland. ARCTIC is a California power trio steeped in the roots of early 70’s blues/psych, á la Blue Cheer and Band of Gypsies, while drawing elements of modern heavy, reminiscent of early Sleep. 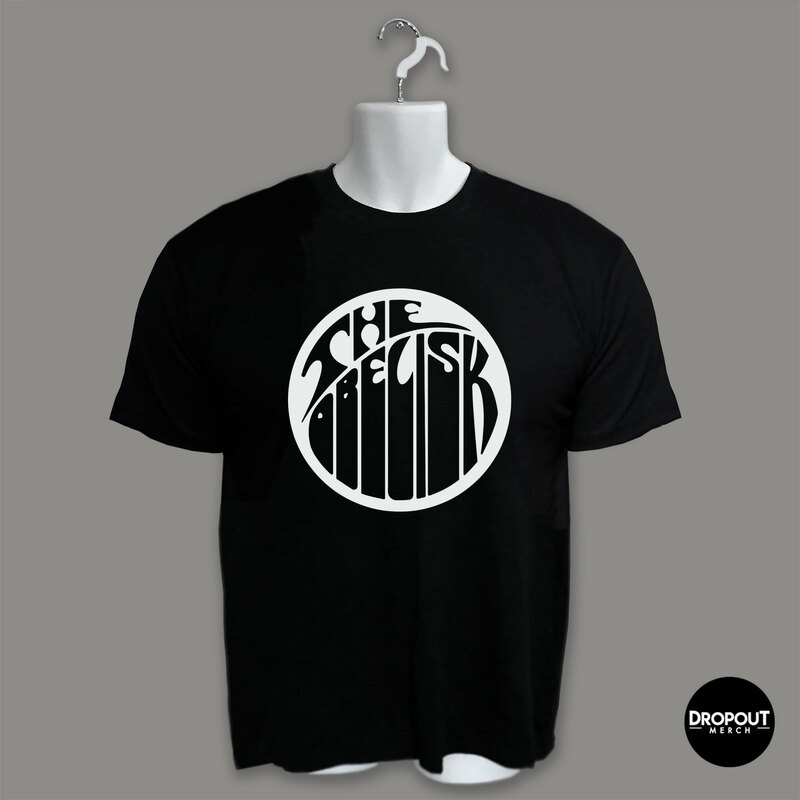 Heavy, sludgy, stoner psych played with a slow, driving energy. The band features three pro skaters, Figgy on guitar, Frecks on drums and Nuge on bass. PHARLEE was forged in the middle of the white-hot psychedelic jam scene in San Diego, California from members of Harsh Toke, Sacri Monti and Joy. But don’t let their geographical origin and associated acts mislead you. Pharlee walks their own path on scorched-earth. Forgoing the weed-fuelled jams of their counterparts for full-on the speed-ruled riffage. Partying off the sounds of Priest, Motorhead, Betty Davis and ACID, Pharlee create a new shrilling sound. The San Diego Takeover is supported by the Performing Arts Fund NL. 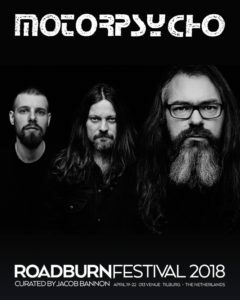 These two component parts of Kayo Dot will be making their presence felt at Roadburn 2018 as they perform (separately) on Thursday, 19 April. 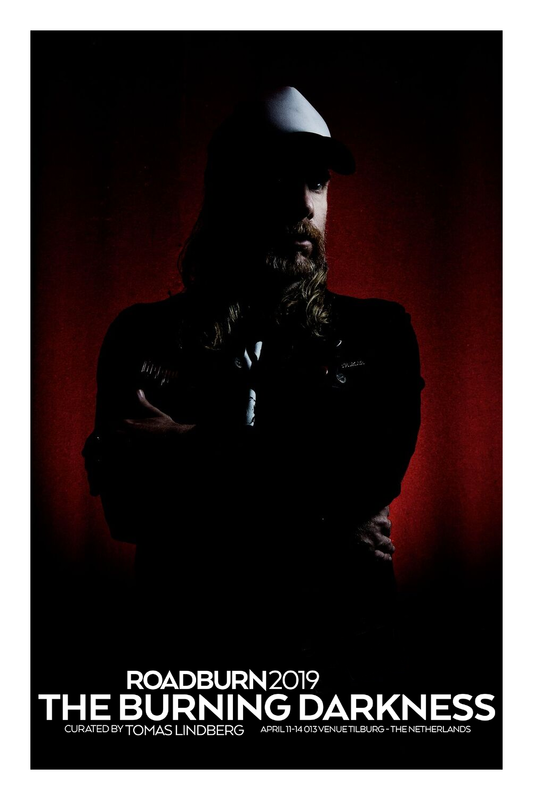 As a solo performer, on guitar, keyboard, and voice, Toby Driver has been exploring dark, austere neofolk akin to Grouper, Talk Talk, Current 93, and others, with a subtle progressive and unsettling edge, featured in his recent release, Madonnawhore (The Flenser, 2017). 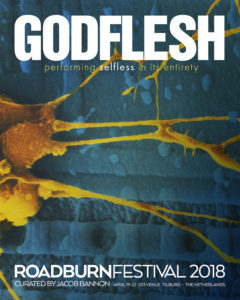 Along with songs from Madonnawhore, he will also be performing pieces from his forthcoming solo album, They Are The Shield, and additionally, a few left turns are of course to be expected. Zvi is guitarist / vocalist Ron Varod (Kayo Dot, Sabbath Assembly, Psalm Zero, Myrkur) performing and recording solo since 2004. During the 40 minute run time of Zvi’s 2016’s Death Stops Us All, Varod gently wakes us up with a whispered vocal over nylon string guitar, pummels us with throbbing noise and lulls us back to sleep with droned out suspended clusters and Talk Talk-esque clean guitars. 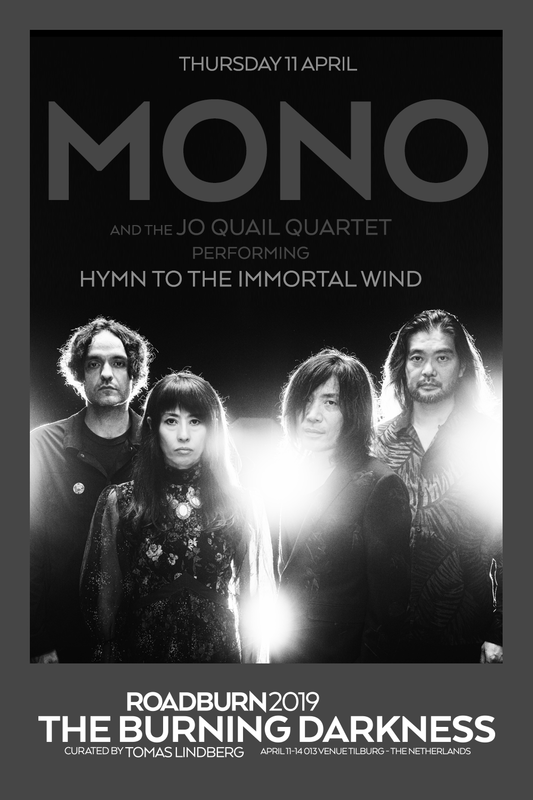 Formed by singer / drummer Rob Martin (formerly of Bliksem), guitarist Ron Van Herpen (Astrosoniq, ex-The Devil’s Blood) and Rob Zim (bass, Lords of Altamont), RRRags emulates the sounds and styles of power trio’s such as Grand Funk, Blue Cheer and James Gang. 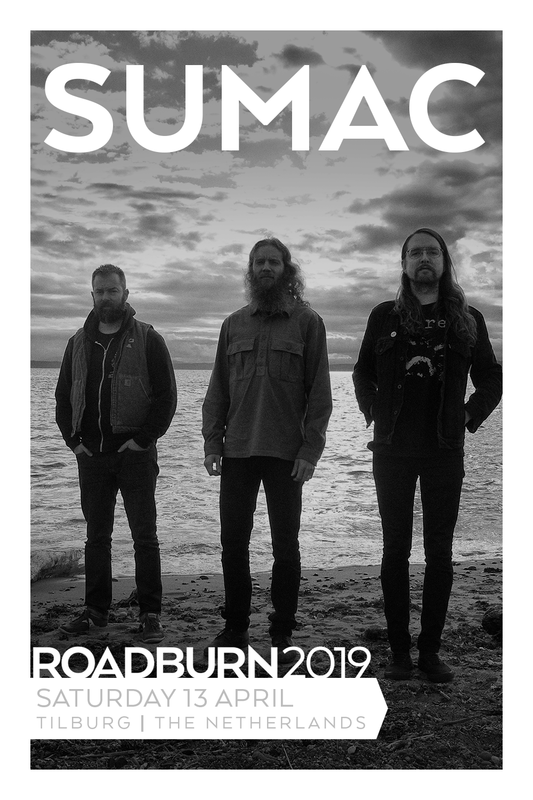 But in addition to their fuzzed-out and soulful approach, there are also touches of psychedelica and psyfunk, which sets the band apart from the current crop of Sabbath worshipers, or old school hardrock devotees. 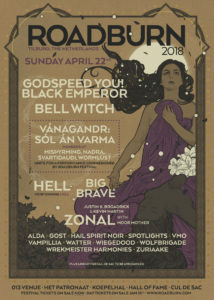 Roadburn’s annual pre-party returns! 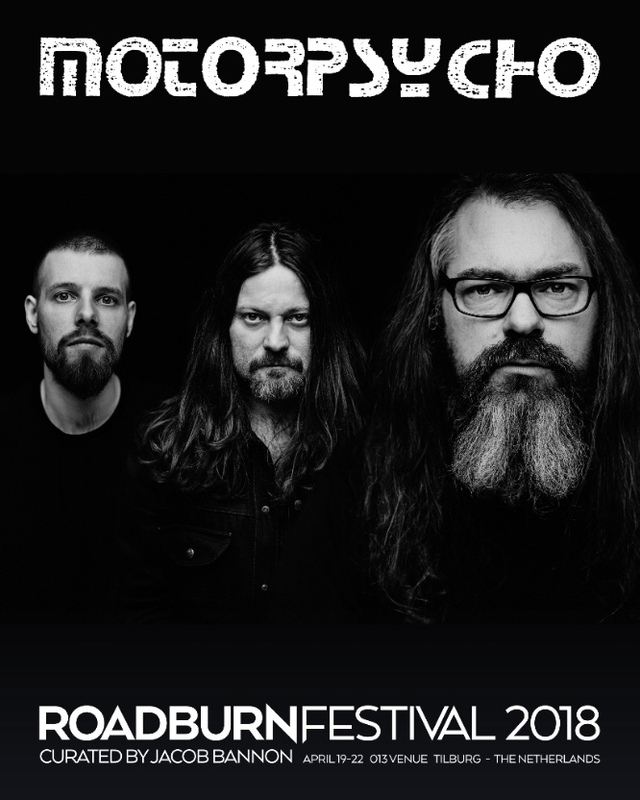 For those in Tilburg on Wednesday evening, before the festival kicks off “proper”, we welcome Roadburners to the city in style! 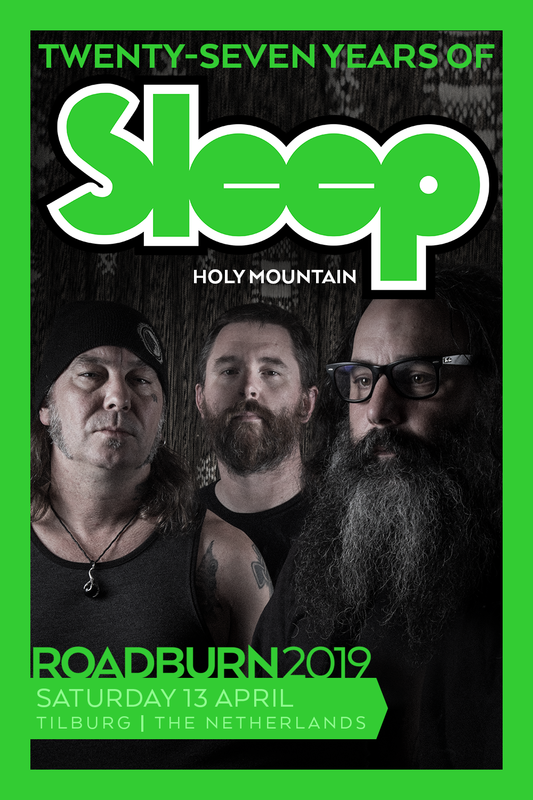 This year we have teamed up with Babylon Doom Cult Records in Belgium to present speed metallers Bütcher, and Speed Queen, plus genre-crossing Witch Trail. The Hard Rock Hideout is FREE and will take place at the Cul de Sac. 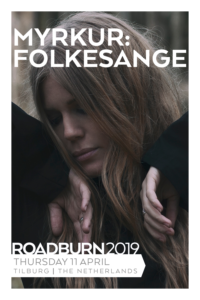 As with last year, the festival’s wristband exchange will be open on Wednesday, April 18 between 18.30-23.00 for early arrivals to pick up their passes in advance of Roadburn kicking off on Thursday. 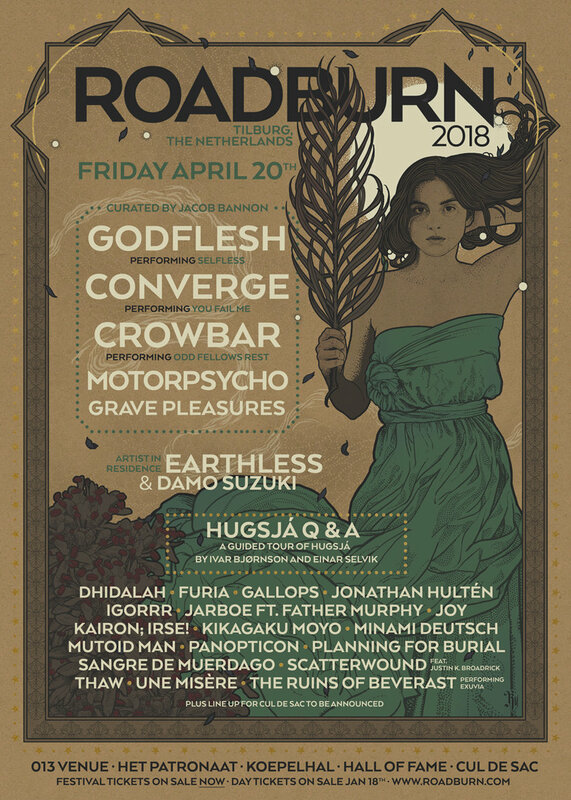 Well, here’s Roadburn 2018 wishing you happy holidays as pretty much only Roadburn can. With Boris and Stephen O’Malley playing Absolutego in full, a one-off collaboration between Oranssi Pazuzu and Dark Buddha Rising kicking off the festival, additional whole-record performances from Godflesh and Hooded Menace, a European debut from Khemmis, plus the likes of Thou & The Body, Motorpsycho, Fuoco Fatuo, Forgotten Tomb, Wolfbrigade and of course a completely overwhelming ton of others. So yeah, happy holidays from Roadburn, I guess. Probably even happier if you already have your tickets for next April. 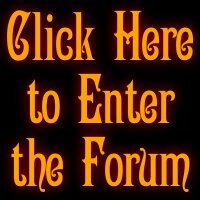 If you don’t, gadzooks, I hear it’s the holidays. 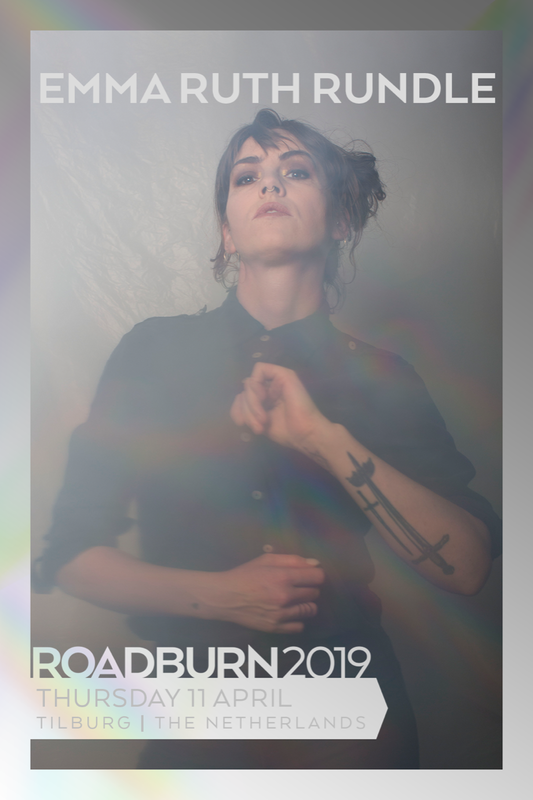 “Roadburn has always been about bringing people together, creating a network where the line between friend, fan, performer and artist is blurred. 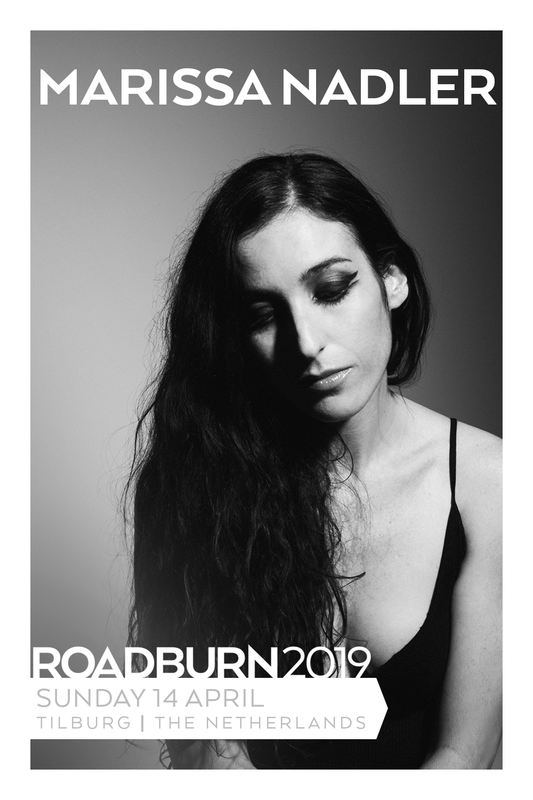 The very foundation of Roadburn is the community that it is built upon, around, and within. 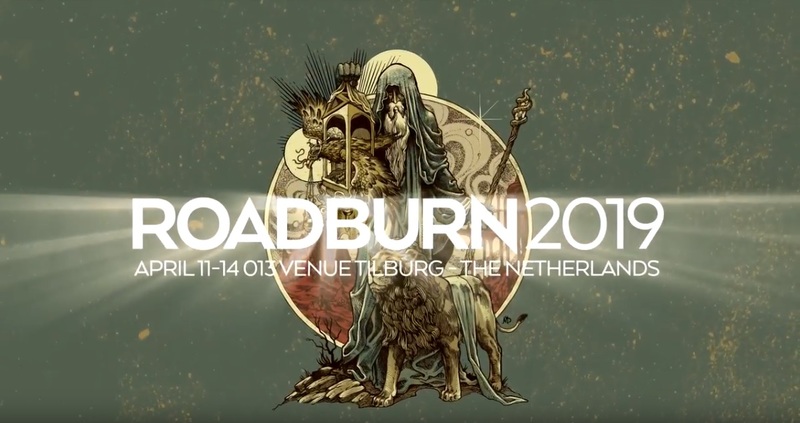 Alongside this, Roadburn has always sought to push the boundaries of creativity and expression. 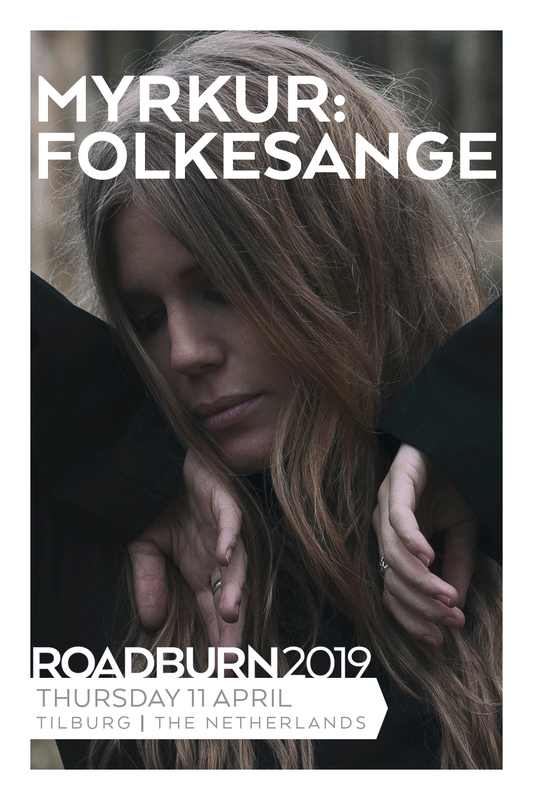 Familiar to most Roadburners, Dark Buddha Rising and Oranssi Pazuzu are combining their forces to write and perform a new concept piece especially for Roadburn 2018. 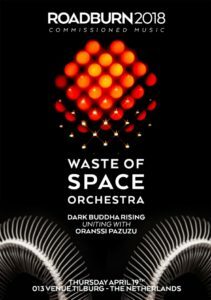 The collaboration will be titled the Waste of Space Orchestra. The performance will include ten musicians onstage plus an original video accompaniment, designed to tell a parallel story with the music. 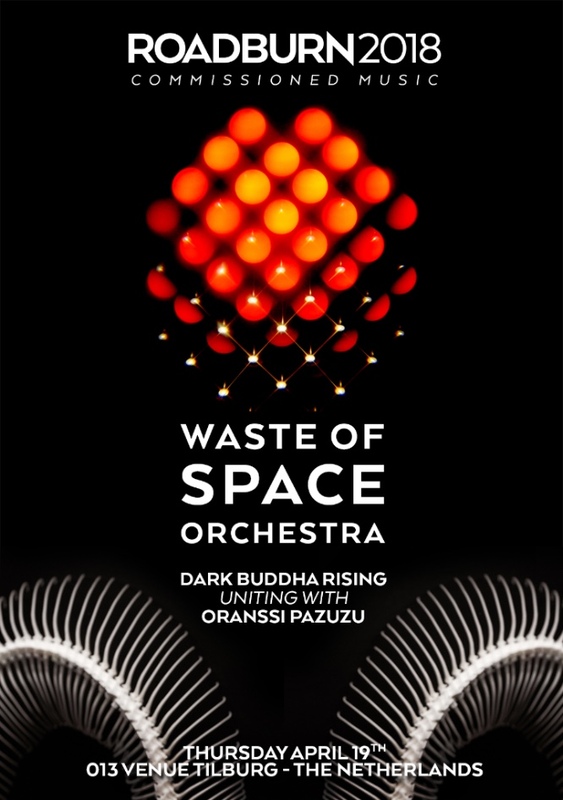 The ten-part, one hour piece is a dive into the consciousnesses of three beings – all of whom are on a search for deeper truths in comprehending reality. 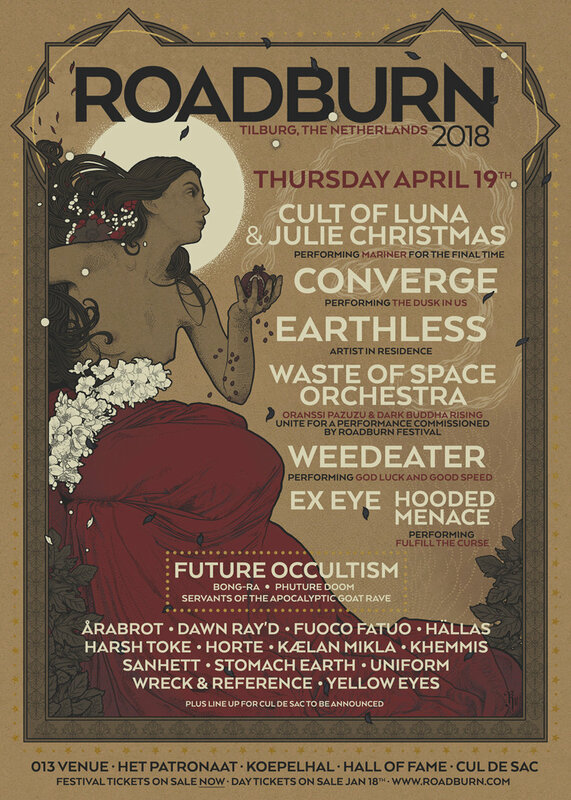 The Waste of Space Orchestra performance will open the main stage on the first day of Roadburn 2018 – Thursday, April 19. It was Absolutego that kickstarted everything for Boris in 1996 and put that strange little band from Tokyo named after a Melvins song on the map. 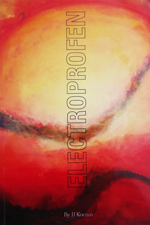 If you further exercise your memory, you will surely recall that Absolutego was – above everything – a drone album, one single track that took the listener on a strange, intense and very dark trip. 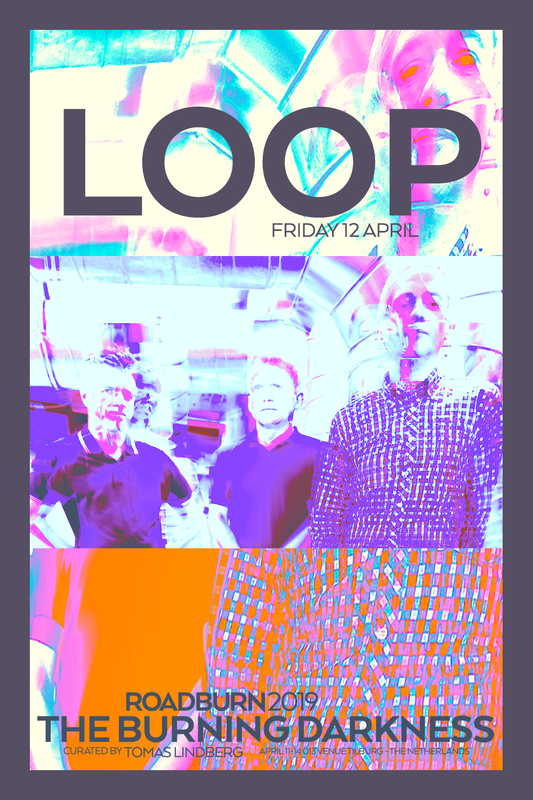 We’ve invited Boris to come and perform that whole Absolutego giant of sound, and they said yes. Joining them for this exclusive, one off performance is none other than Stephen O’Malley. 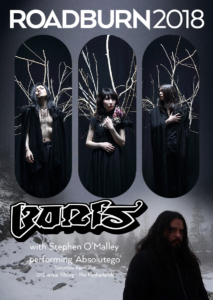 Boris with Stephen O’Malley will play Absolutego on Saturday, April 21 at the 013 venue, Tilburg, The Netherlands. As part of Jacob Bannon’s curation, Godflesh will perform their groundbreaking album Selfless at Roadburn Festival 2018. 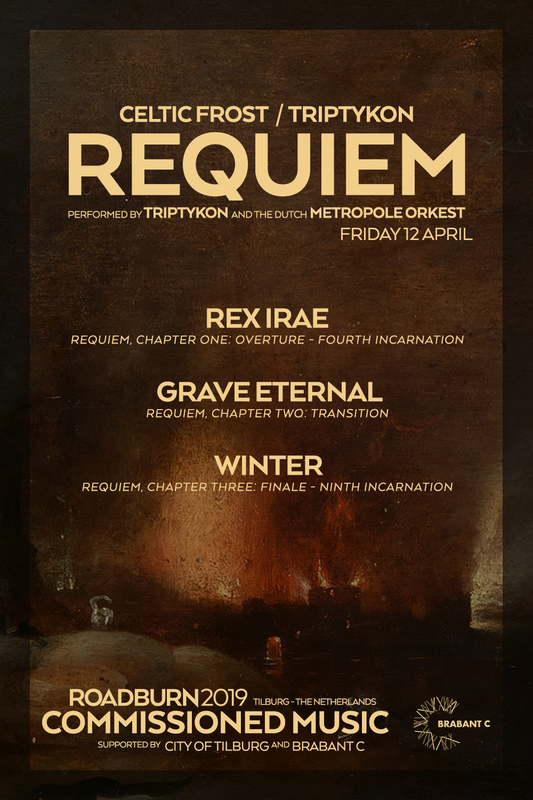 Justin K. Broadrick is such an integral part of the Roadburn backbone by now that he needs little introduction. 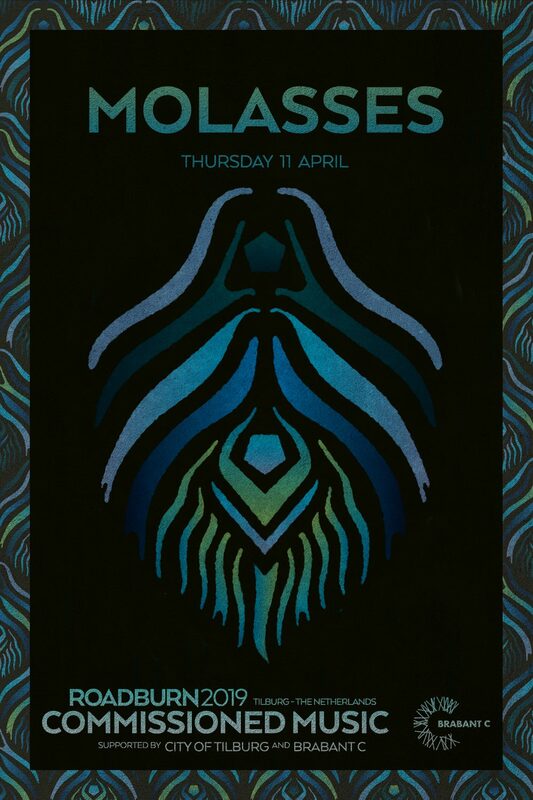 When it was announced that Justin and Kevin Martin, aka The Bug – who already made himself part of Roadburn with a staggering show alongside Dylan Carlson of Earth this year – would reunite under the name Zonal (a spiritual continuation from their iconic Techno Animal duo) it registered on our always-on radar. They will be joined by Camae Ayewa, the musician, activist and poet from Philadelphia who also goes by the name Moor Mother. Since their earliest rumblings, Finnish cult doomsters Hooded Menace have held an astonishingly high profile in the underground realms. 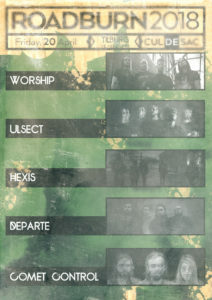 Their uniquely energetic take on the classic hybrid of doom and death metal has been invigorating audience since the release of their 2008 classic, Fulfill the Curse. We’re thrilled to announce that the band will perform this classic album in full at Roadburn 2018. 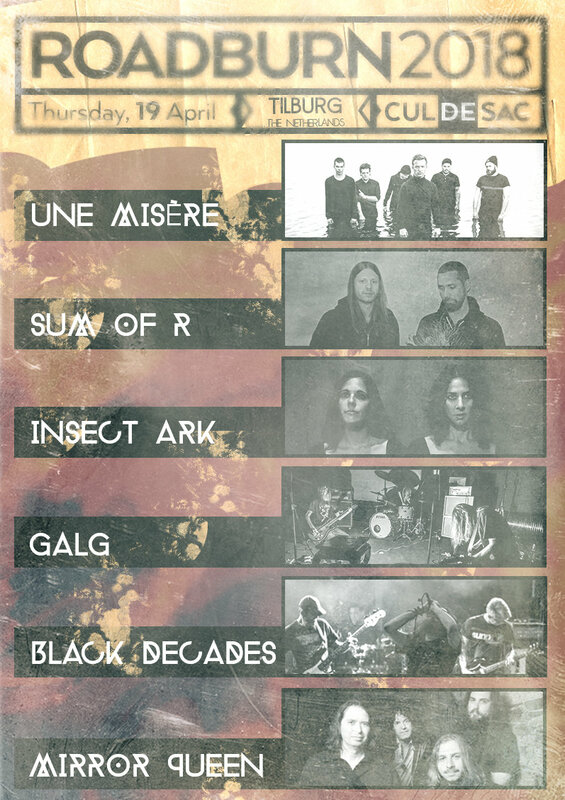 Zuriaake will be the first Chinese band to perform at Roadburn Festival. 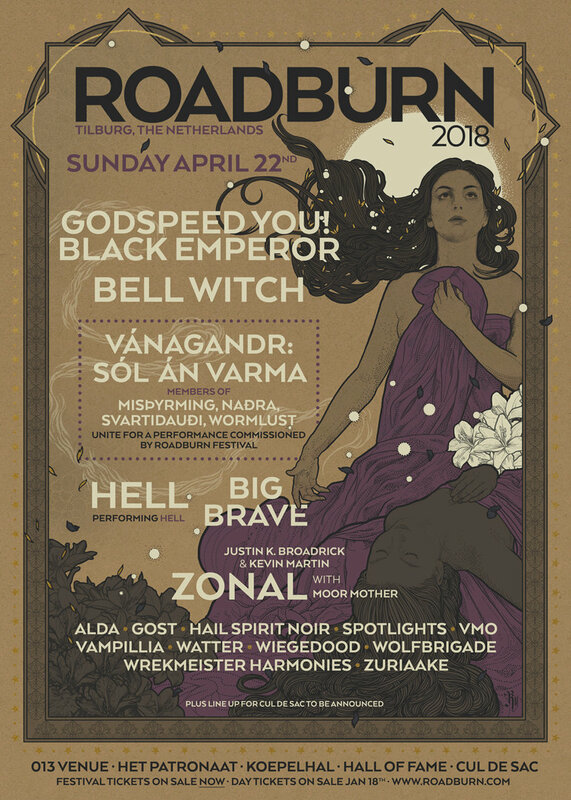 Old Tower make their live debut at Roadburn 2018. There goes another 0.107 seconds.